4 week course on the basics in Tokyo. Finding full-time work in Japan and more. Study practical Japanese & do fun cultural activities. Learning the real basics such as Hiragana, Katakana and simple phrases, while getting to live in and explore Tokyo. You must be 16+ to join the course. There is no age limit or other requirements; you are welcome to join! Learning Hiragana; the Japanese alphabet. あさ= asa, morning. Free Wifi, computer stations, Japanese, Korean and English-speaking staff, effective and informative counselling sessions, various school activities and many opportunities to make Japanese friends. Only 4 minutes walk from Suidobashi station, Tokyo. Have simple everyday conversations in Japanese. Fun activities are organised by the school; such as tea ceremony or going hiking! Classes are Monday to Friday in the morning from 9:10 - 12:40 (3.5 hours). Enough time in the afternoon, evening and weekends to study hard and also explore Tokyo. 4 week course: 94,000 yen (about 856 USD). (Fee includes registration for the school, text book and course tuition). 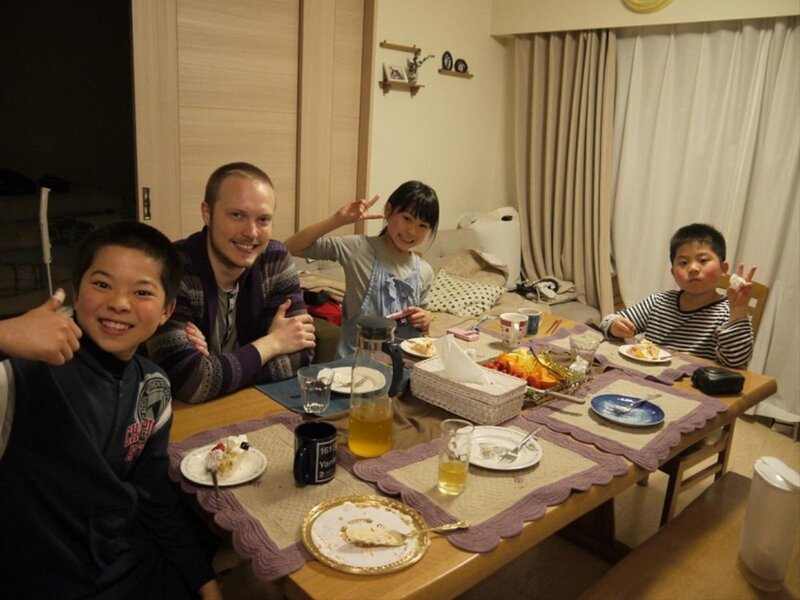 Option 1) 4 weeks homestay: 94,000 JPY (about 856 USD). (This fee includes the placement fee for homestay, breakfast & dinner for weekdays and 3 meals are included for weekends). Option 2) 4 weeks guest house: 65,000 JPY (about 590 USD). See what you can achieve in just 4 weeks!! Dates don't suit? See the Practical Japanese Course to start on the first Monday of every month for complete beginners. Or, inquire for similar courses. ・This is a 4 week course recommended for complete beginners. Option to advance to General Academic Intensive Course after completion. Apply -> Choose accommodation -> Receive confirmation and pay school -> Prepare for Japan (we can assist), receive instructions -> Arrive in Japan! Begin your application before spaces become full.